R&S®ROMES4 is the universal software platform for network engineering, network optimization and troubleshooting. 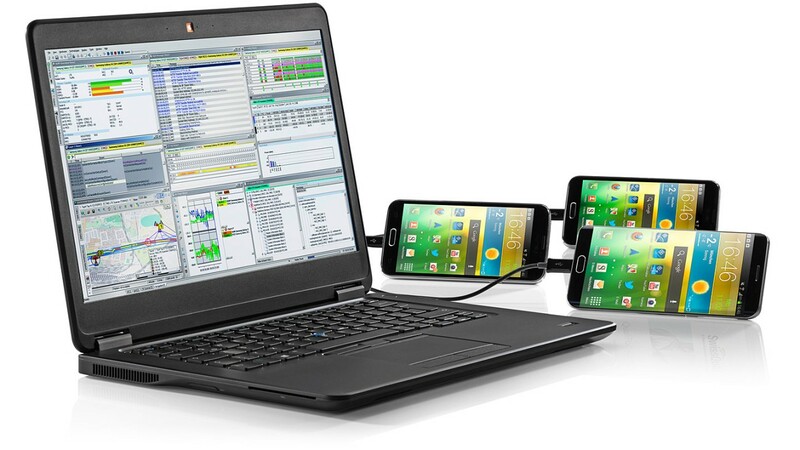 In combination with test mobile phones and drive test scanners it provides solutions for all essential tasks involved in coverage measurements, interference identification and QoS. In addition to measuring and displaying test parameters, data is processed instantly and statistics are calculated in realtime. Our newest R&S®TSME6 and R&S®TSMA6 scanners are able to measure 5G NR synchronization signal blocks (SSBs) for all SSB subcarrier spacings and transmission cases, defined for sub 6 GHz bands. R&S®ROMES4 provides new views and signals to keep a clear view on different PCIs and beams/SSBs for all evaluation tasks during measurement and replay. Addition of 5G NR UE support perfectly complements the available 5G NR Scanner measurements. 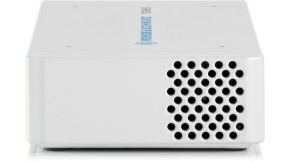 5G NR UE support provides LTE information related to 5G, as well as the 5G specific NR Serving cell information like metrics of Initial Cell Acquisition, Layer 1 measurements like RSRP and RSRQ, Layer 2 PDSCH and PUSCH Throughput, MCS, RBs etc., RACH procedure details, LTE-NR EN-DC signaling and application layer metrics. NB-IoT is a completely new network layer, promising deep indoor coverage and low device power consumption at a low cost point. R&S®ROMES4 in combination with an R&S®TSMx scanner and NB-IoT test-devices provides complete RF and QoS testing capabilities for engineering and network optimization. It supports QualComm and HiSilicon Neul based devices. Detailed trace and visualization capabilities enable full control of the device and its interaction with the network. R&S®ROMES4 in combination with the network problem analyzer (NPA) offers the complete tool chain to measure the quality of a TETRA network and easily detect problem spots. It supports R&S®TSMx scanners for TETRA as well as leading TETRA handsets for QoS measurements and speech quality analysis. For easy and flexible measurement, all equipment can be carried in a compact backpack and controlled via a tablet. 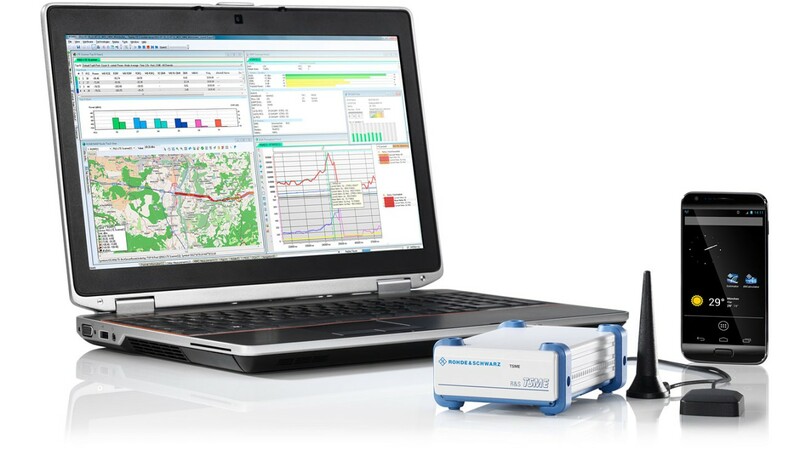 The network problem analyzer (NPA) automatically analyzes drive test data to identify problem spots in the network. Automatically identify base station locations based on scanner measurements. In combination with an R&S®TSMx scanner, R&S®ROMES4 can estimate the location of base stations during the drive test. GSM, WCDMA, LTE-FDD/TDD, CDMA2000, 1xEVDO, Wimax, TETRA and NB-IoT base stations are supported. Network operators can identify base station locations from other networks in case of interference or for co-siting requirements. It is also possible to gain knowledge about competitor network rollouts. R&S®ROMES4 in combination with an R&S®TSMx scanner can measure the eNodeB scheduler allocations in the LTE downlink and uplink direction without the need for a SIM card. When performing tests with a UE, the scanner data is used to assess the load in the cell: if the cell is heavily loaded, quite naturally the UE can only get fewer resources from the scheduler, leading to a reduced throughput. If, however, the cell is not loaded, a low UE throughput must be caused by other reasons, calling for optimization action. LTE downlink allocation analysis (DLAA) with scanner. R&S®ROMES4 supports Qualcomm and Exynos chipset based devices for mobile measurements. 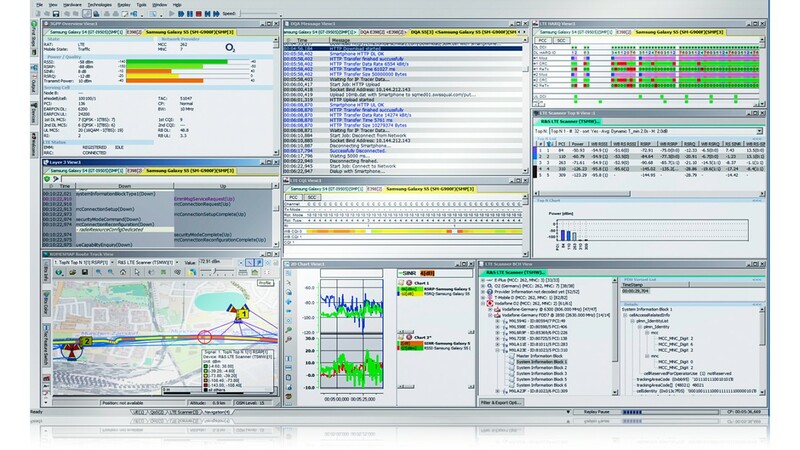 Various data jobs can be performed with commercial and even precommercial devices connected to R&S®ROMES4, while receiving full layer 3 information. When using a QualiPoc Android, speech quality can also be evaluated with the POLQA algorithm (ITU-T P.863), and several typical applications such as Facebook, Dropbox and YouTube can be used as test cases. This video demonstrates automatic channel detection (ACD) for LTE using the R&S®ROMES4. Using R&S®ROMES4 and a R&S®TSMx Scanner to test NB-IoT coverage. Learn more about testing NB-IoT networks and targeted measurement solutions. Learn more about increasing capacity with 4x4 MIMO and targeted measurement solutions. Learn more about today’s mobile network structure and its challenges.